Even from a distance, Hillary’s knowledge of yoga asana and philosophy come through with great clarity and inspiration. 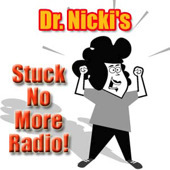 Through her podcast I have grown my home-practice from a tiny sapling into a great oak tree. I am now dancing more fearlessly through life, with the lessons that Hillary’s yoga practice has taught me on the mat; taking those lessons off the mat to change my career and my life. My heart yearns to meet this glorious, compassionate yogi one day in life, but until then, she can truly reach out and inspire you as well. 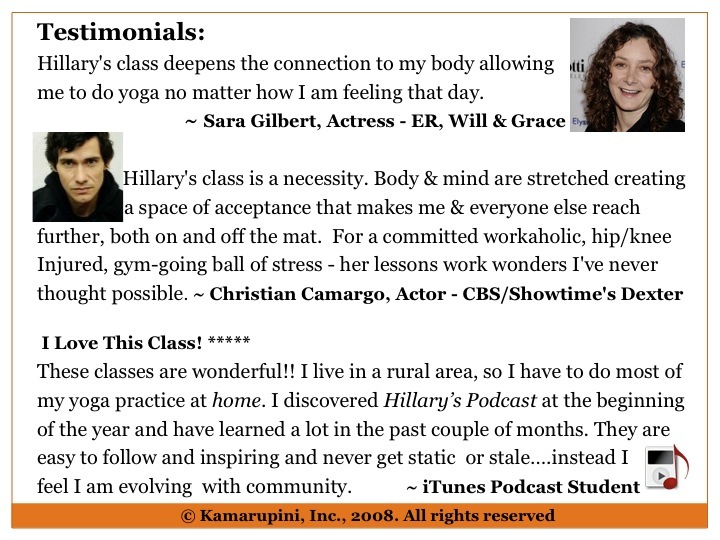 I would recommend Hillary’s yoga podcast to both beginners and advanced students alike without reservation. Hillary’s podcasts are a wonderful way to bring yoga into your home. Her instruction is easy to follow, thoughtful, and reminds us how to apply yoga in our everyday lives. i’m a graduate student who can’t really afford consistent yoga courses at the local studios. i have suffer from multiple illnesses including a brain disease and chronic depression stemming from my childhood. hillary has allowed me to continue a strong practice so that i may foster and maintain my health, integrity and sanity. i am extremely thankful for the time, support and teachings that you offer, hillary. thank you so very much for me to continue and believing in your abilities so that your students can believe in their own. Thanks for the kind words and happy to serve. Pls go to my free coaching calls and share your pain, fears or questions. Let me help you more work it out. http://www.askHillarynow.com. I just bought the video with the foundational principles of Anusara. I love it, easy to follow , profound impact on my practice and a great opportunity to deepen my connection to my body, mind and spirit.